Contact Form Widget is used to send mails to the Blog owner from the visitors/users. Do your blog looks anything missing?. I think a Contact Form is an important widget that was missed for long time. Are you using Contact From in your blog? If so, it will not Google's Official contact Form. That may be from other hosted providers. 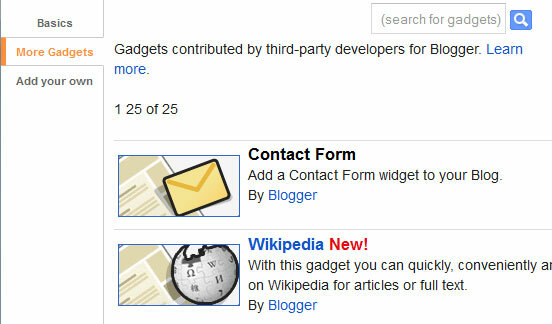 Here Google released its brand new Contact Form Widget for Blogger Users. It helps to send e-mails to blog owner without Sign In to Google or any other account. Anyone can send mails by providing a valid e-mail address and Message. This Contact Form can add to any blogger blogs that hosted in Google's Server. Send e-mails to Blog owner without Sign In to any Accounts. Show status message of sending. 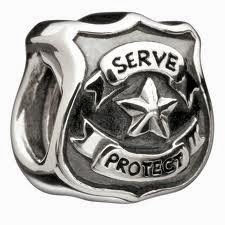 You have done please check your blog. When visitor drop a message it goes straight to your inbox. One copy of the message will send to each Admin. 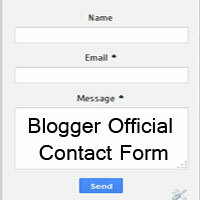 I hope this Contact Form will help your blog to get Suggestions and queries from visitors.